Phytocéane Organic-Trio-Oil Nutritive Concentrate is an extremely nourishing dry oil for dry to dehydrated skin, lacking comfort. It contains numerous essential fatty acids for an extremely nourishing effect. 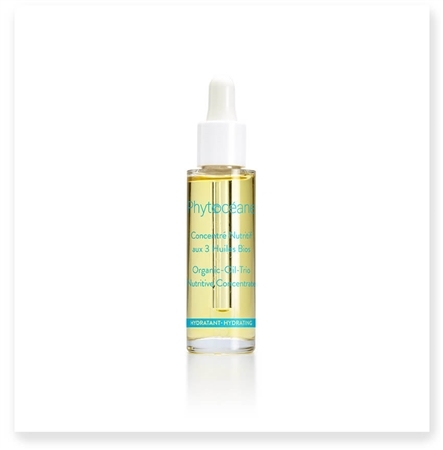 A very natural formula containing 3 natural organic oils with no fragrance. It nourishes the skin while leaving a light, satin finish. Apply a few drops morning and evening to perfectly cleansed face and neck.